Since arriving at Original Diving in 2012, Papua New Guinea has always been at the top of my travel list. Not only did the diving appeal, but the wildlife and culture is so varied that I was eager to experience it all (I have David Attenborough to thank for a lot of this!) Luckily, last October I got my chance. The first thing to understand about PNG is that it is not a luxury destination, but this is not what you come for - it is the diving, culture, birding, and scenery that should tempt people. It is the perfect place for those who really want to get off the beaten track. 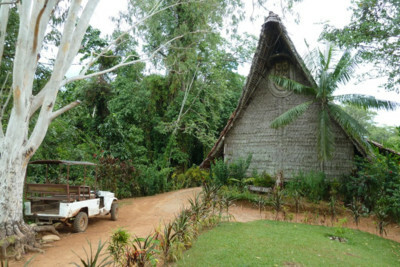 In fact, of all the places I have been lucky enough to visit, nowhere comes as close to the meaning of 'remote' as PNG. Diving, naturally, was a big focus of my trip to PNG, and it did not disappoint. It is some of the best diving I have ever done and one of the things that made it so special was not seeing another dive boat in over two weeks of diving. Tufi was the first stop on the diving agenda and as the tiny PNG Air flight swooped into the gravel 'airstrip', I was struck by the sheer beauty of the region. The landscape is made up of fjords that extend out of the mainland like fingers and right on the end of one of these fjords lies Tufi Dive Resort. The resort itself has the most spectacular position, offering views up and down the fjord from one side, and out to the open ocean on the other. Diving within the fjord is lovely; the visibility is slightly low but there are some beautiful corals and interesting critters. The offshore sites are a longer boat ride away but are well worth the trip, with pristine reefs and staggering visibility of up to 40 metres. 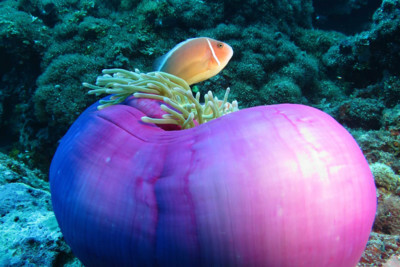 The number of reef fish is particularly impressive and there is a good chance of seeing reef sharks too. Apparently the area is home to the odd albino hammerhead, but alas, I was not lucky enough to see one! To get to the offshore sites, there needs to be minimal wind and the Original Diving team knows the best times to visit, maximising your chances of brilliant dive experiences. Next up was Walindi, located in Kimbe Bay. This resort is an extremely well run diver's paradise. Again, the sites close to the resort are enjoyable but the offshore sites blew me away. One dive in particular, Bradford, was one of the best dives of my life, as a resident school of around 1000 barracuda spiraled down over the top of the coral bommies. 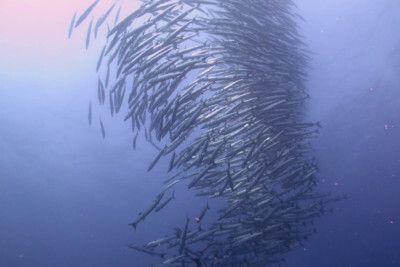 To add to this, shoals of jack fish, tuna, reef sharks and cuttlefish abound. Cheyne (the General Manager and owner's son) is a passionate diver himself and ensures that all of his guests have a wonderful time. 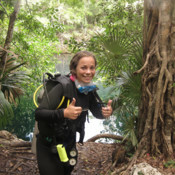 For those who want to take a break from underwater exploration; this is also a top birding spot. The final dive destination was Tawali Dive Resort in Milne Bay. Out of the three dive resorts, this property is a step up in terms of the accommodation and food, so if you like the finer things in life, we recommend staying here. Tawali has some incredible dive sites close to the resort, so if long boat journeys aren't your thing, this is your best bet. 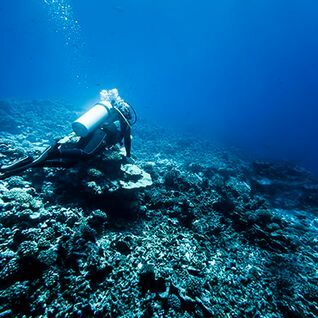 Deacon's Reef is a 20 minute boat ride away and is a dive site with stunning topography, making it the ideal spot for avid photographers. Red sea whips litter the rocky bottom, whilst incredible rock formations make this site feel like an underwater city, through which a rich array of marine life swims. 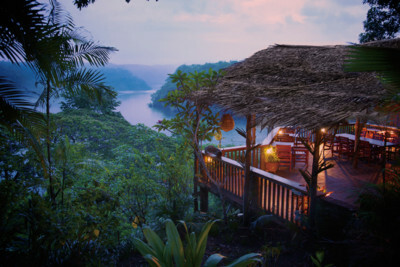 Found just metres from the shore, the jungle canopy unfolds above you as you explore this magical site. I am also a fan of muck diving, so Lawadi Beach (a world famous muck diving site) was a real highlight, with nudibranchs, octopus, ghostpipe fish, and frogfish galore. No trip to PNG would be complete without some time spent on land, exploring the culture and wildlife. I visited some of Trans Niugini's fantastic properties, namely Rondon Ridge in Mount Hagen, Karawari Lodge in the Sepik Province, and Ambua Lodge in Tari. I spent days here visiting villages, learning about different tribes, and soaking up the beauty of the landscape. For me, there were two real highlights on land. 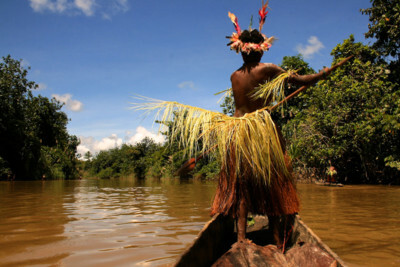 The first was the Sepik Province, reached by a little charter plane that landed on a grass clearing in the middle of the rainforest. We spent days going up and down the Karawari River, meeting locals at the riverside villages and learning about their daily lives in the most remote of regions. Life in this staggeringly beautiful place centres on the Karawari River, which has towering canopies on either side. 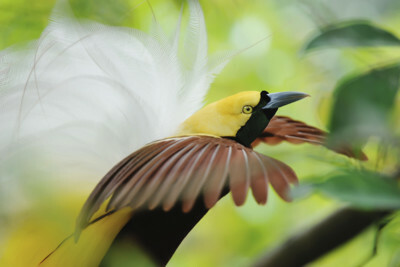 My second highlight was the very special residents of the Tari region: the Birds of Paradise. For anyone remotely interested in birds, Ambua logde is an absolute must. We saw some incredible species, including the King of Saxony and a male Ribbon Tailed Bird of Paradise. These can all be seen within minutes of Ambua Lodge and the birding guides are remarkable at spotting them. 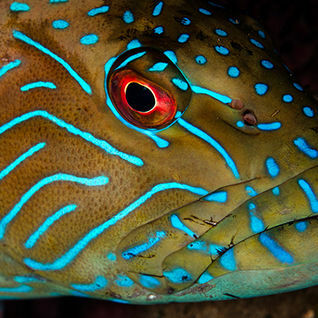 So there you have it - the highlights of my dive trip to Papua New Guinea. Why not plan your own adventure to this picturesque part of the planet?